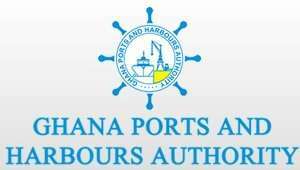 The inter-ministerial committee set up by the government to review the concession agreement between the government of Ghana and the Meridian Port Services (MPS), says the terms of the loan were not disclosed to the Ghana Port and Harbours Authority (GPHA) or parliament. According to the committee’s report, the GPHA was not part of the International Finance Corporation (IFC) negotiations. This was despite the fact that GPHA would become technically implicated in the loan. The report also states that Bollore and APMT had indicated their willingness to fund the whole project when discussing the Memorandum of Understanding (MoU). The Committee found that share allotments were issued, and resolutions passed under unusual circumstances. They also found that the share dilution was not reflected in the IFC loan. The committee suggests the government was due and accepted the 12.94% stake and offered to transfer it to a local indigenous firm. The government initially directed it should be allocated to Asoma Banda, who acknowledged receipt and said he would respond to the offer. But the government subsequently changed its mind and instructed that the stake is given to GPHA instead. However, the 12.94% stake has not been returned to the GPHA nor has Banda paid any money for the stake. The report notes that Asoma Banda did not attend the committee’s hearings, though several attempts were made to reach him. The report recommended that all agreements, waivers of taxes and related protocols must be substantially reviewed. It also suggested that this review could take the form of amicable settlements, through renegotiation of several terms – but also potentially “emphatic governmental instructions in the interest of the sovereignty”. In 2018, the government put together an inter-ministerial committee to assess the negotiations and terms of the concession agreement for the Tema Port awarded to Meridien Port Services (MPS) in 2015. The Government’s Review Committee presented its findings in February 2018. Several agencies, including the Trade Union Congress and the Maritime Dockworkers Union, have criticized the contract agreement. In 2018 the Ghanaian government put together an inter-ministerial committee to assess the negotiations and terms of the concession agreement for Tema Port awarded to Meridien Port Services (MPS) in 2015. • In November 2018 the Danquah Institute called for the renegotiation of the contracts and threatened legal action against the government. • The Trade Union Congress and the Maritime Dockworkers Union have also criticized the contract. • The Graphic, Ghana Web and earlier the Chronicle have referenced the Report and its findings. Coverage of the report in Ghana has focused on the potential losses to the State and job losses. However, the report’s findings also raise serious questions in the executive summaryabout the “ethical discipline of international partners in the process”. MPS and its parent company Meridien Port Holdings are ultimately owned by Bollore and APM Terminals alongside the Ghanaian Port and Harbour Authority (GPHA). MPS first secured a major concession in Tema in 2004. In 2015 it secured the port expansion project after a longstanding international tender process was aborted. GPHA’s stake in MPS was reduced for unknown reasons after the latter had secured a significant funding deal with the IFC. In March 2017 it was reported that MP Patrick Yaw Boamah had called for a forensic investigation into the circumstances around the dilution of GPHA’s shares. The Committee, in summary, recommended that all Agreements, waivers of taxes and related protocols must be substantially reviewed. They suggested that this review could take the form of amicable settlements, through renegotiation of several terms – but also potentially “emphatic Governmental instructions in the interest of the sovereignty”. The Review focuses on the fact that the Ghana Ports and Harbours Authority was, from 2012, administering an international procurement process to expand and upgrade Tema Port “which was terminated and the Project handed over to MPS/MPH”. Because of this, the Ministerial Committee concludes that the “MPS engagement has to be renegotiated completely”. In 2012, GPHA initiated a procurement process through an international competitive public tender to expand Tema Port. There were fifty-six applicants initially. Seven bids were ultimately fully responsive when the bid closed in January 2014. As part of the process, GPHA also issued another procurement notice for RoRo and cruise/passenger terminals at Tema. This process had a closing date in May 2014. MPS/MPH did not participate, although Bollore and APMT did do so. However, according to the Review, while the procurement process was underway, the then Government, through a senior minister, issued a directive to GPHA to terminate the procurement processes. The directive requested GPHA, according to the review, to open discussions and negotiations with MPS for the Port of Tema expansion process. The international procurement process was then formally terminated. 3) In the end, the then ongoing international competitive bidding processeswas terminated and handed over to MPS for reasons that the Committee, through its interviews, cannot justify”. The GPHA tender process, the report highlights, did not envisage any financial contribution from GPHA nor a sovereign guarantee to support the investment. The Committee recommends an engagement with the IFC to review the structuring of the loan agreement – perhaps even to take up the IFC loan completely. The report states that in the Summer of 2016, GPHA’s shares were diluted from 30% to 15% under “unusual circumstances” and that GPHA only found out when the financial statement of MPS was delivered to GPHA. It adds that it was only when the Review Committee was inaugurated that MPA/MPH suddenly promised to restore GPHA to 30%. The Ministerial Committee found that share allotments were issued and resolutions passed under unusual circumstances. They also found that the share dilution was not reflected in the IFC loan. The Review Committee also found that a 12.94% shareholding, which should have been returned to GPHA, had not been and was “shrouded in the MPH 70% shareholding”. This shareholding had originally been held but relinquished by Bouygues Travaux Publique. The committee suggests the government of Ghana was due and accepted the 12.94% stake and offered to transfer it to a local indigenous firm. The government initially directed it should be allocated to Asoma Banda, who acknowledged receipt and said he would respond to the offer. But the government subsequently changed its mind and instructed that the stake be given to GPHA instead. However, the 12.94% stake has not been returned to the GPHA nor has Banda paid any money for the stake. The Committee notes that Asoma Banda did not attend the Committee’s hearings though several attempts were made to reach him. The Report finds that the GPHA was not represented in the IFC negotiations and that some of the terms of the loan were not disclosed to GPHA or the Ghanaian parliament. This was despite the fact that GPHA would become technically implicated in the loan. The Ministerial Committee also states that Bollore and APMT had indicated their willingness to fund the whole project when discussing the MOU.